Two contests on writing and photography have been launched in the Mekong Delta this week. Professional and amateur writers living in the Mekong River Delta region are encouraged to participate in a short story writing contest to be held by the An Giang province’s Literature and Arts Association. The contest’s theme is “The Mekong Delta region and its people in war and peace”, and it focuses on the lives of the people in the delta and their dreams and challenges to develop their land. Stories on the region’s traditional culture and lifestyle are also encouraged. Submissions should be a minimum of 5,000 words, and the best ones will be published. People interested in participating should send their works before July 31 to the organising board at 43 Nguyen Van Cung street, Long Xuyen city, An Giang province. The 30th Mekong Delta Photography Festival was launched by the Can Tho city Association of Literature and Arts, in cooperation with its partner, the Vietnam Photography Association. 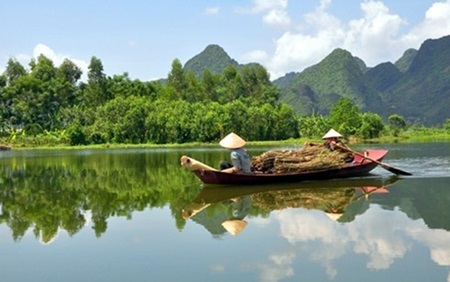 Participants should send their works on the Mekong Delta and its history and people to the website before September 10. They will compete for 20 prizes in two categories of black-and-white and colour photos. A special prize for the best photo featuring Can Tho city and its people will be presented.